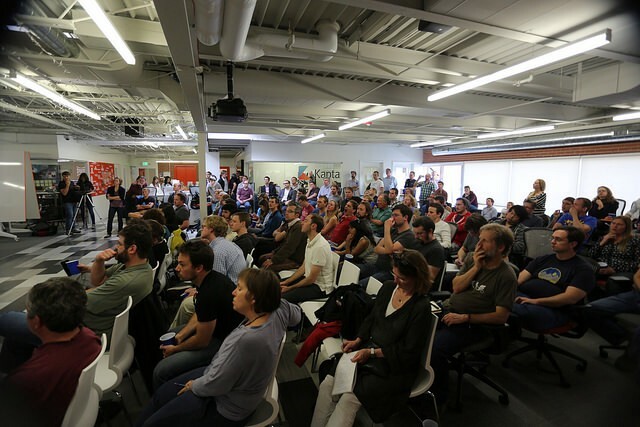 Since we never want it to end — Boulder Startup Week 2015 Recap! Are you still buzzing from last week? We are! Boulder Startup Week was an incredible, five-day event that took place last week in downtown Boulder. Monday-Friday we celebrated entrepreneurs, startups, innovation, community, and mindfulness, among many other relevant topics through 17 different tracks. It took 14 sponsors, 15 organizers and over 70 volunteers to bring you 120 events for Boulder Startup Week. Incredible, right? Especially considering we had only 72 events last year. The top events from last week were the Electric Alpine BSW Closing Party, Boulder Beta, Boulder Startup Week Startup Crawl, Startup Job Fair, and Boomtown 2015 Demo Day. Monday kicked off with our amazing keynote at Naropa with Jerry Colonnaand Matt Stinchcomb. Monday we also hosted over 10 startup story events at eTown. Entreprenuers chatted with their co-founders/partners and mentors about their entprepreneurial journies. Talks ranged from speakers like Alex Bogusky and David Cohen to David Mandell and Scott Signore. Tuesday was a huge hit, we had 400 people come down to our basecamp at Lyfe Kitchen for the Startup Job Fair. Did you get a job during #BSW15? Tell us! A huge part of startup week is introducing people to the amazing companies, culture, and city we all live in. 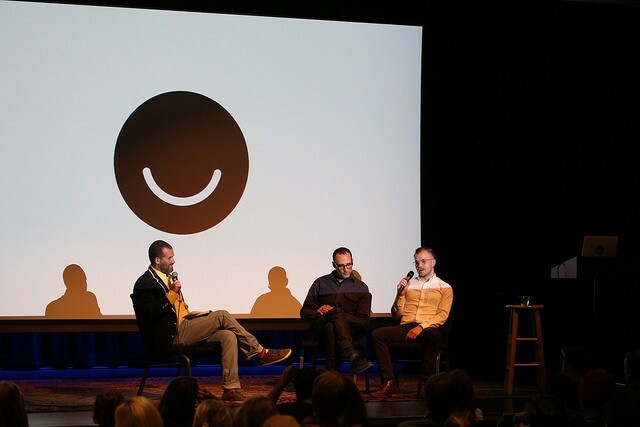 Tuesday also hosted Ello cofounders Todd Berger andLucian Föhr chatting with Mark Gelband about the social network revolution. Wednesday was insane, we had 25 events that covered everything from growth in the startup food industry to Ignite Boulder. Thursday had a couple events for those interested in gaining more insight for working or interning for a startup. To relieve the stress of having to choose between so many events during the week, we hosted a yoga session at Riverside with Rod Loud. Friday closed out with a strong afternoon of Boomtown’s 2015 Demo Day and the Electric Alpine Closing Party. Boomtown put on an epic closing party, see the video below if you missed it on Friday. What were your favorite events from last week? Were there any topics you wanted covered, but they weren’t? We’d love your feedback, click here to tell us more about your experience! We’d also like to thank our organizers, volunteers, and attendees who supported and participated in Boulder Startup Week. See you all next year, May 13–19, 2016.